A GPGPU is a graphical processing unit, but with adaptations to make it possible to use it for general purpose computing as well. For those of you who followed Intel’s Larrabee project – that is a GPGPU. Intel’s project was stopped before it reached the market. Not an open source project, the Nyuzi Processor, implements a similar architecture. The project is quite impressive. It features a pipeline vector FPU, multiprocess support, an L1/L2 cache hierarchy. It also comes with a LLVM-based C++ toolchain, software libraries and test benches and can be synthesized. Check out the github page for instructions, the full Verilog source and all the associated tooling. The ARM PRO MINI is a tiny, open source, board based on a Cortex M0 MCU. The whole project, including schematics and BOM, is available on github. 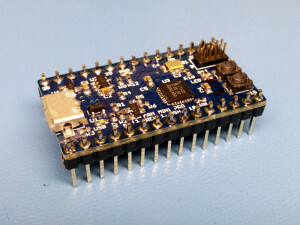 The MCU is an NXP ARM M0 LPC11U35FHI33/501. This means that the Eclipse-based LPCXpresso IDE can be used to develop code in C/C++. 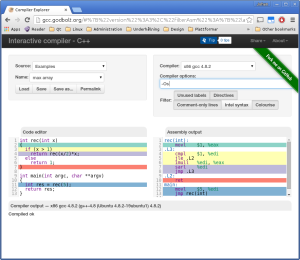 Another alternative is to use the ARMmbed Online IDE (you will have to register to get to the compiler section, it is free). The ARM PRO MINI comes with a convenience library, making development easy. What does this mean? It means more power, more software and the same interfaces. The new CPU is a quadcore ARMv7 CPU, meaning that standard Linux distros as well as Windows 10 works on the platform (why would you want to tinker with Windows when you have Linux is beyond me, but anyway). The RAM has doubled to 1GB, which is great. If nothing else, it can be used to cache more data from disk. Because, let’s be honest about this, the biggest problem with the Pi right now is the I/O speed of SD cards. A small eMMC would have been a welcome addtion. While considering all this shiny stuff, it is also important to notice that the original Raspberry Pi will remain in production. This is important for many, many customers using this in a wide range of applications. 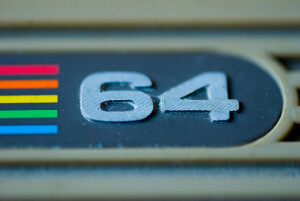 A friend of mine, kralleman, is crazy about retro games and their hardware. I mean properly crazy. Crazy enough to appear on national TV, as well as having three episodes of a local retro gaming show dedicated to his own collection (1, 2, 3). He is also a part of the team running the RetroSpelsMässan in Gothenburg. Go visit it if you have the chance! 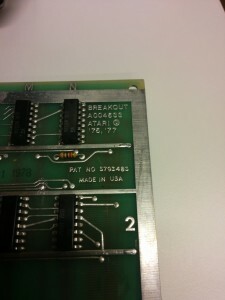 He recently purchased a classic Atari Breakout table that needs repairs. I had the opportunity to have a look the main logic board of the game. This is amazing. 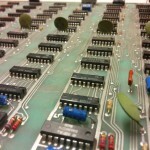 TTL 74′ chips in long rows. So, without further ado, enjoy! 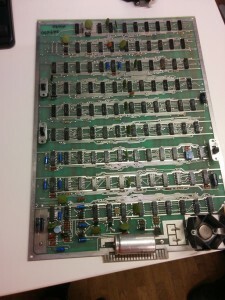 Dirk Grappendorf has been working on a serious looking MOS 6502 based computer. Over at his site, you can follow his development diary. The computer was developed between September 2014 and January 2015. Quite impressive, given the outcome! The entire design is available from Dirk’s git repository over at github. Looking into the hardware, the machine even contains a proper SID chip for that classic chip tune sound. The finish of the hardware and case are impressive. So is the software. It includes everything expected from a mid-80’s home computer, including a BASIC interpreter. It is also possible to develop using C or assembler. As you probably know, the combination of retro computing and tinkering with embedded platforms tickles the mind of us here at DigitalFanatics. Someone who really hit that spot is Maurizio Ramondo and his Amiga Drive project. 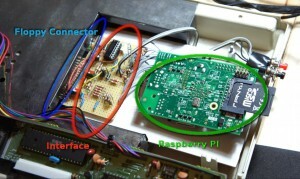 Basically, it is about using a RaspberryPi as an Amiga floppy drive emulator. All the schematics and software are available for free. The schematics are for Eagle. 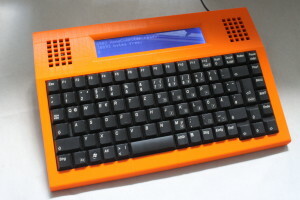 The system consists of two parts – an interface board, letting the Raspberry Pi speak to the Amiga via the Floppy connector, and the Raspberry Pi software, emulating two Amiga floppy drives. The result is a system that can hold two disks at a time, but it also sports a change button, allowing you to switch to two new disks. This lets you play large games such as Monkey Island (four floppies, 720kB each, so almost 3MB).